It is my Urgent cry that all professing Christians respond to God’s calling and seek to understand the deeper truths of Jesus Christ. In the future, American Christians will face physical persecution and the immanent righteous judgment of God will be fulfilled. No one knows the exact moment these truths will begin, therefore there should be a real Urgency to Rise and turn to the full truth of our Lord and Savior. 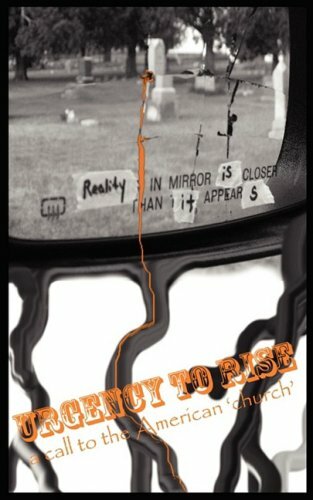 This book is written to shock dead hearts, through the power of the Holy Spirit, into new life. Every professing Christian should examine their faith, understand their depravity apart from God, seek the Lord with all diligence and put their faith into tangible action. The Urgency to Rise is upon us! Purchase on Amazon / Barnes & Noble / Christian Books / Tower / and more. Read how all the books got started here.